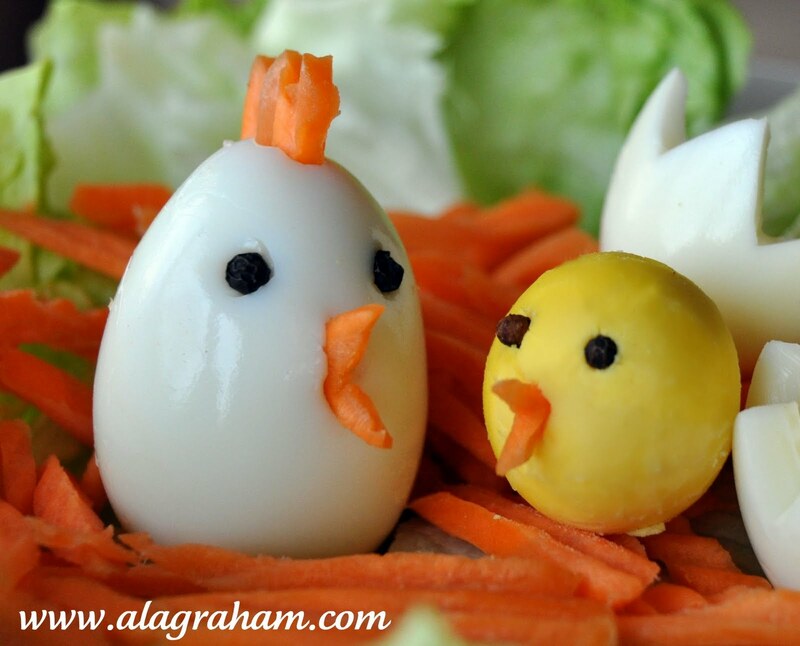 I think these are the cutest chickens ever! 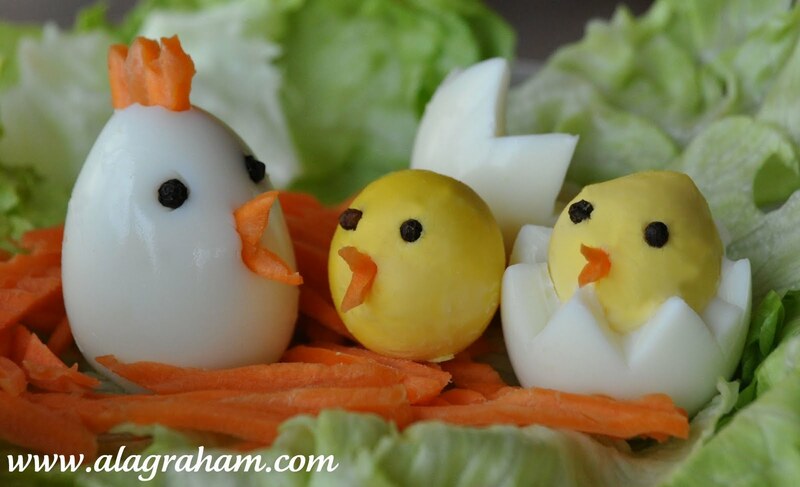 What fun it would be to wake up to these little chicks on your table Easter morning or any morning for that matter. Also a fun idea for your kid's lunch box or your own. I guarantee whoever the recipient is; they will love it! My daughter was screaming with excitement when she saw what I made. Talk about playing with your food...she made them "hatch" about 100 times! If you don't know how to hard boil eggs learn how here. 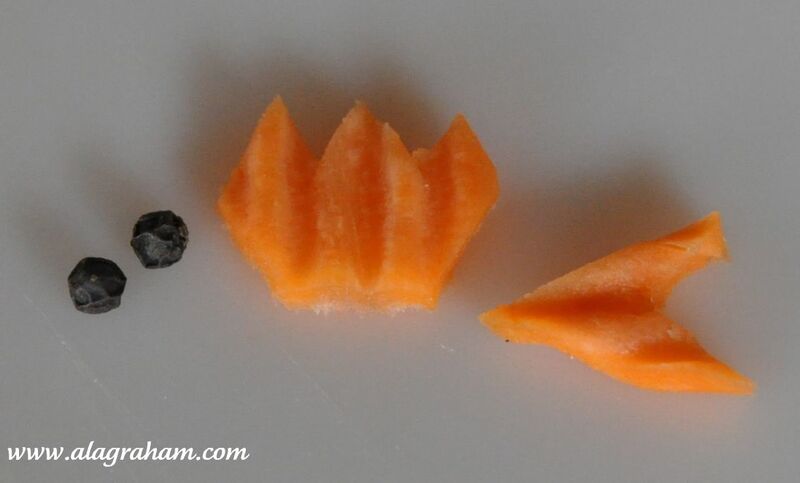 Cut the carrots in the shape of a comb and a beak for the adult chicken. 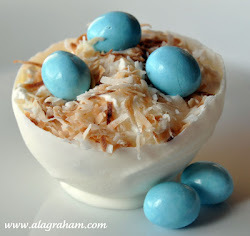 Set the hard boiled egg upright (if it doesn't stand up cut the bottom off so it is level.) Using a paring knife make a small cut at the top of the "head" for the comb and a small cut on the middle of the egg for the beak. Make 2 small circular cuts for the eyes. Push the carrot comb, beak and peppercorn eyes into their spots. Make a zig-zag cut around the middle of the egg...don't penetrate the egg yolk...just cut through the egg white. Remove the top half of the "shell" carefully or remove the yolk completely. Cut holes for the eyes and make a cut for the beak. These really are cute...I love it when food can be table decoration too. Very creative! They are adorable and I can see why your daughter was excited with them! Great food art! This is amazingly cute Tanya. So creative! Oh my goodness, I can't believe how adorable these are! What a creative idea. Too flippin cute! You're amazing!